Tequila has its own version of the generic-versus-branded problem: while tequila is the fastest-growing spirit beverage in the U.S., its growth is driven by its use as an ingredient in margaritas. So in spite of the growing popularity of higher-end tequila brands, the market here is still largely driven by whatever bottle happens to be near at hand when the blender gets powered up and salt gets shaken. 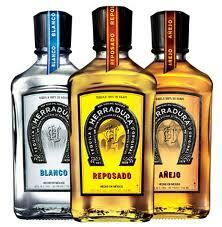 Herradura, the leading premium tequila brand in Mexico — where natives do not drink margaritas by and large — is hoping to build on the recognition of premium tequila in the U.S. The 140-year-old brand, marketed here by Brown-Forman, wants to accelerate the acceptance of premium tequila and the recognition of the Herradura brand as its exemplar. He likens the tequila market in the U.S. to where the wine industry was 15 or 20 years ago. “Back then, few people were really that discerning when it came to quality; now, wine drinkers are very sophisticated consumers. Our hope is over time, people will become just as discerning with tequila as they are with wine today.” He says tequila constitutes only about 6% of distilled spirits sales in the U.S., although it is the fastest-growing category and also the most profitable on a comparison basis, since it is twice the price in the U.S. that it is in Mexico.